The birth of the meterosexual in the 21st century brought with it the rise in popularity of the stubble beard. As showcased by a number of celebrities who have inspired men in the masses to grab their shavers, the variety of stubble styles has given the image-concerned modern man something to work with. In the following article, you’ll get an idea of what is the best sort of stubble for you and also some tips on how to keep your facial fuzz in perfect shape. There isn’t one single perfect type of stubble beard; you have a load of options when looking to grow a style that is most suited to you. Below are a few celebrities boasting their great facial hair. Arguably one of the most universally desirable celebrities of our generation, the former professional footballer has a second claim to fame in the form of his well-kept and creative stubble. By shaping his beard to pronounce its distinct features–he modifies the conventional, no-nonsense stubble look by shaving around his lip to separate his moustache from the hair on his cheeks and chin–the English superstar emphasises his well-defined cheekbones and jawline. Featuring in Time 100’s “Most Influential People in the World” and often described as one of the best-looking men in the world, the Hollywood actor is the proof that you don’t need to be a professional beard stylist to make yourself look good. 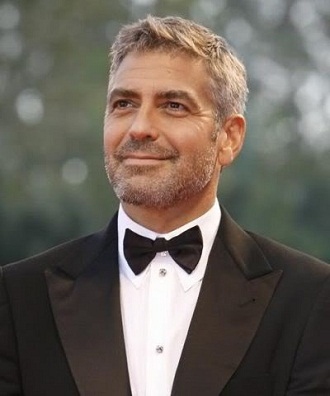 Sometimes simple is better, and Clooney’s mid-length stubble beard is a testament to that. Best known for playing Star-Lord in Guardians of the Galaxy and also for his leading role in Jurassic World, the American star sports a subtle, short stubble beard which highlights his strong bone structure. 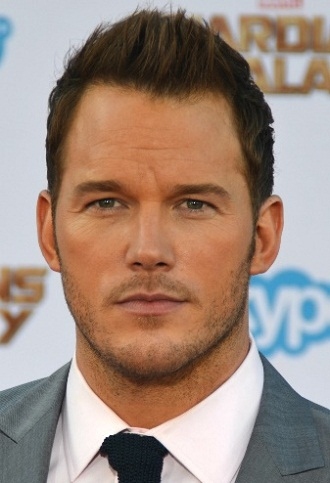 Chris Pratt shows that with only a minimal amount of facial hair (after all, not everyone can grow a mighty bush of a beard), you can manage to look as sharp as he does here. 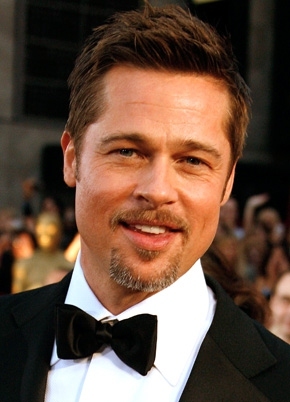 Voted by People magazine as the “Sexiest Man Alive”, Brad Pitt exhibits the versatility of facial hair with a short goatee which silences those who are critical of such a type of beard; this style compliments his defined jawline as it makes the chin look more pointed. If you are looking to grow one for yourself, be aware that it is a high-maintenance form of stubble as it requires you to shave your cheeks frequently! 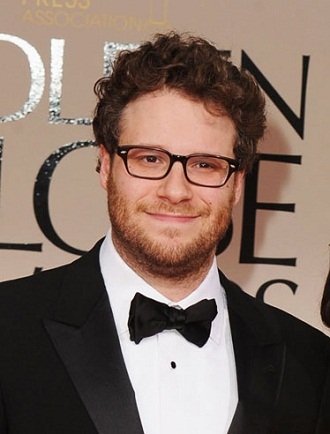 With a list that is filled with chiselled jawlines and pronounced cheekbones, Canadian funnyman Seth Rogen demonstrates that you don’t need to have the face shape of Brad Pitt to pull off a stubble beard. Kept at a medium length, this style both looks good and is easy to maintain. Once you have found the sort of stubble style that best suits you, it is important to take care of your beard and spend time maintaining its shape to make sure that it always has that freshly cut look. Here are a couple of tips to help you on your way. Invest in a good-quality beard trimmer to keep your stubble from becoming too wild. Important things to consider are length settings, runtime when fully charged and price. Tend to your stubble every couple of days, shaving it to the desired length a few times over and checking for stray hairs to get an even and neat stubble beard. Get yourself some beard oil to give your stubble that soft, clean and shiny look–you’ll never look back!